The Feather Ring was created by our Founder, Oliver Proudlock after his connection to the Indian Chieftain which he has tattooed on his forearm. This was one of our first adjustable options and has grown to become a customer favourite. Simply pair this with one of our other adjustable rings in the shape of the Dove for a beautiful duo. Clean With A Damp Cloth, or for further care information, head over to our Terms & Conditions page. We recommend avoiding wearing it while exercising because sweat can take off the coatings. Therefore you should also avoid your jewellery in the shower as this will reduce the lifetime of the product. When done wearing your jewellery for the day, place it back in its Serge DeNimes velvet bag to protect it, ready to wear again the next day. One size - this ring is open at the back and can be resized by the customer. 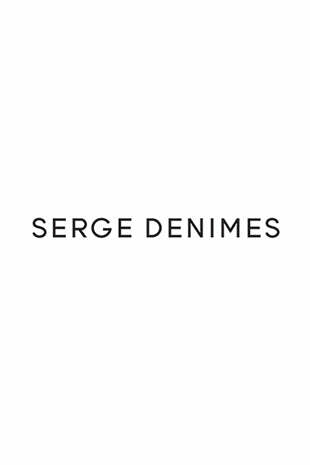 We would recommend using a lightly damp cloth to clean all Serge DeNimes jewellery. The following we do not recommend as it may affect the quality of the product, design or plating.